What would noted photographer Ansel Adams do if he packed an iPhone in his pocket? Likely one of two things: seek out the best noir settings among the vast range of available color shooting apps or perhaps dig up a dedicated black and white app. 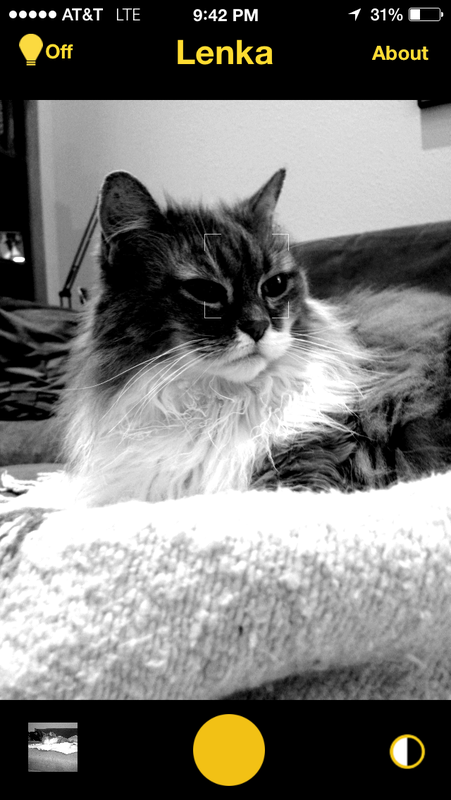 Whereas the vast majority of iPhone camera apps shoot natively in color, there’s a small but dedicated cadre of black and white apps that go the way of traditional monochrome. 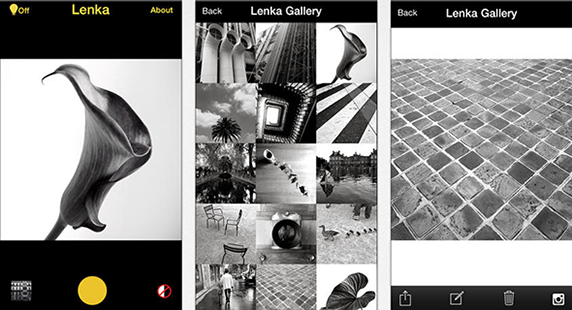 Lenka, a brand new iPhone app developed by photographer Kevin Abosch, who also created Kwikdesk, joins that group. 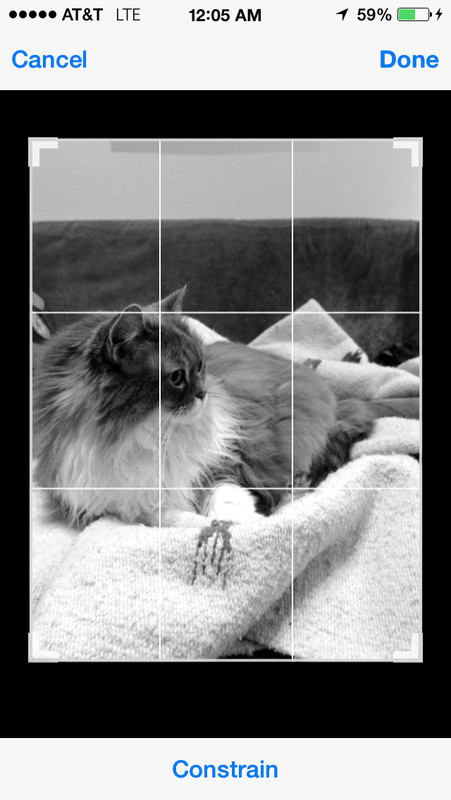 Lenka’s auto focus and auto exposure make shooting fast, but you can also tap to focus. 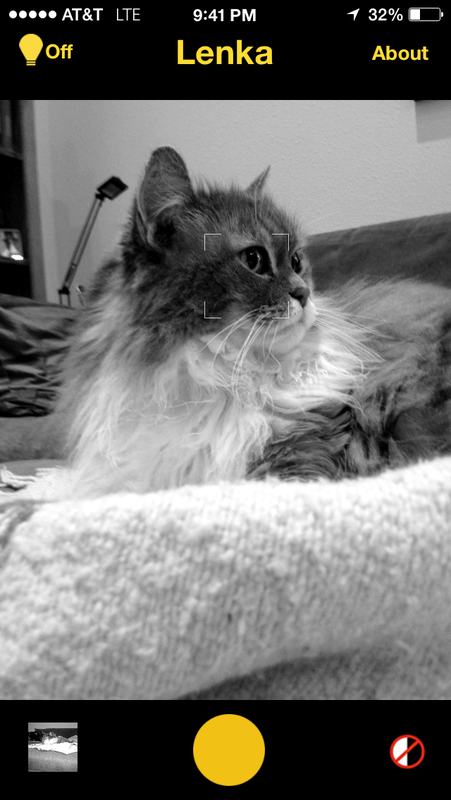 While Lenka does have some competition — such as Curious Satellite’s Hueless and JixiPix’s Dramatic Black & White, among others — it’s distinguished by its shooting technology and streamlined operation. There are fewer options available with Lenka: Just shoot, observe the result, and accept or do over. The app’s automatic focus and exposure are surely time savers for quick shots, but you can also tap to focus, as with most other camera apps. Lenka opens to a monochrome interface that offers two shooting modes: Normal and high contrast, which you access via a toggle button to the right of the large yellow shutter button. What you see on the screen is pretty much what your photo will look like, so there’s an opportunity to shift focus, alter composition and adjust lighting to improve the results. Cropping is one of two editing choices in Lenka. Lenka’s simplicity removes the new-app learning curve by featuring just two in-camera controls, and offers added value by altering the flash setting to something perhaps more useful — a light bulb icon at the upper left-hand corner of the interface, if enabled, continuously illuminates the scene. Both the high-contrast effect and the high-illumination proved very powerful and will likely be used sparingly. While the image previews, you can also choose between a rectangular or square aspect ratio with an on-screen pinch. Photo editing consists of crop and rotate — that’s it. And, in the spirit of keeping things ultra simple, there’s no filters and no front facing camera — so forget about selfies. The app is a here-and-now affair, so you can’t reach back into the camera roll and use Lenka as a filter the way you can with other photo apps, though you can certainly apply filters to Lenka’s images in other apps after the fact, if you wish. Lenka is not a social network — you can’t follow or like other photographers or comment on their photos from within the app. There is, however, an option to export your images to Instagram, allowing that social network to assume those functions. Or you can share images on Twitter or Facebook or via email or message. Your images are also saved in the app’s own gallery and your camera roll. Lenka is $2.99 and requires iOS 7. It’s optimized for the iPhone 5 series but can also be used on the 4 and 4s as well.